We want to inform you that the U.S. Soccer Federation (USSF) has announced new standardized initiatives designed to enhance the development of soccer players in our country by implementing: 1) Player age divisions aligned to calendar birth year rather than fiscal year; and 2) Smaller sided games for divisions U6-U12. The smaller side games initiative will result in smaller roster sizes and fewer players on the field. These two initiatives could have significant implications for players, teams, and clubs. The Calendar Year initiative will group players into age divisions according to their calendar birth year January 1st thru December 31st in contrast to the current school year age divisions of birth dates between August 1st to July 31st. Cal South has formally adopted the Calendar Year initiative. All National level gaming will be conducted using Calendar Year age divisions. State associations and gaming leagues have no choice but to adopt if they wish to compete at the National level. As a result, clubs including Matrix South Bay must plan to implement Calendar Year age divisions for the upcoming 2016-17 season. A smooth transition will require effective planning and coordination by our club, coaches and managers. We have already begun a team by team review of the impact of the new age divisions. Being AYSO families perhaps you are already familiar with smaller sided games. AYSO adopted 7v7 in U10 and 9v9 in U12 several years ago. If you have seen these games in our South Bay AYSO, you know it results in a fast-paced match, with more touches on the ball per player. Our recreational teams are already used to this style of play, maybe that is why our team so easily transition to Presidio. 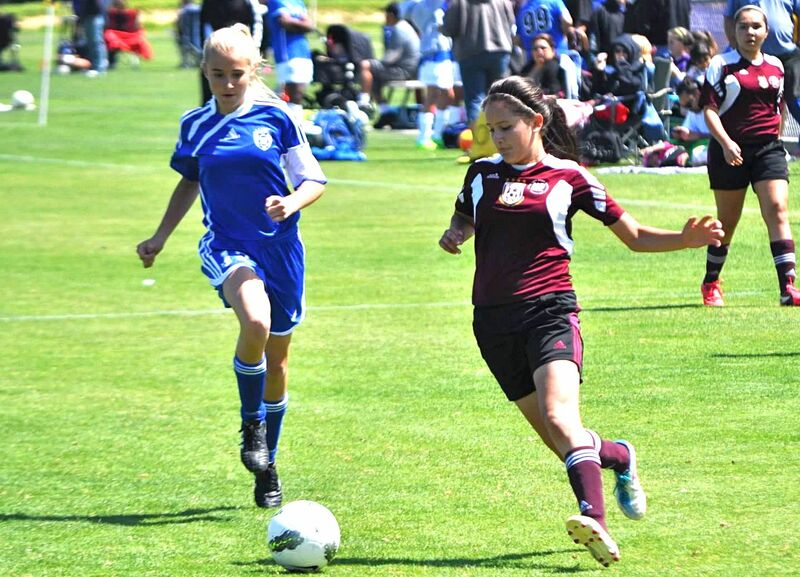 There is talk that Presidio most likely will grandfather current U11-U12 teams, re number of players on the field. This would be done in order to prevent current U11-U12 teams that are playing 11v11 from moving down to 9v9 next year in 2016. Shortly, we will be announcing training, starting in December, where we will focus on calendar year age groups to identify potential teams, and fill in our returning teams with age appropriate players. We are confident we will successfully implement the new initiatives, and continue producing high-level soccer. What a 2014 for our Matrix South Bay U13B AAA team. The squad finished the fall Presidio League with 7 wins, 2 losses, and 3 ties, good enough to capture third place in their division. The boys also reached the finals of the Presidio Cup in early December. Now, Coach Santiago Villanueva’s squad is preparing for State Cup in the highly competitive President’s Division. It is fast, fit, and skillful squad. Thank you, coaches, for the time and effort invested throughout the 2014 year in support of the boys! We look forward to another great season in 2015. South Bay only entered five teams in the Memorial Super Cup. Yet three of those teams made the finals, and U12G Red academy won it all. 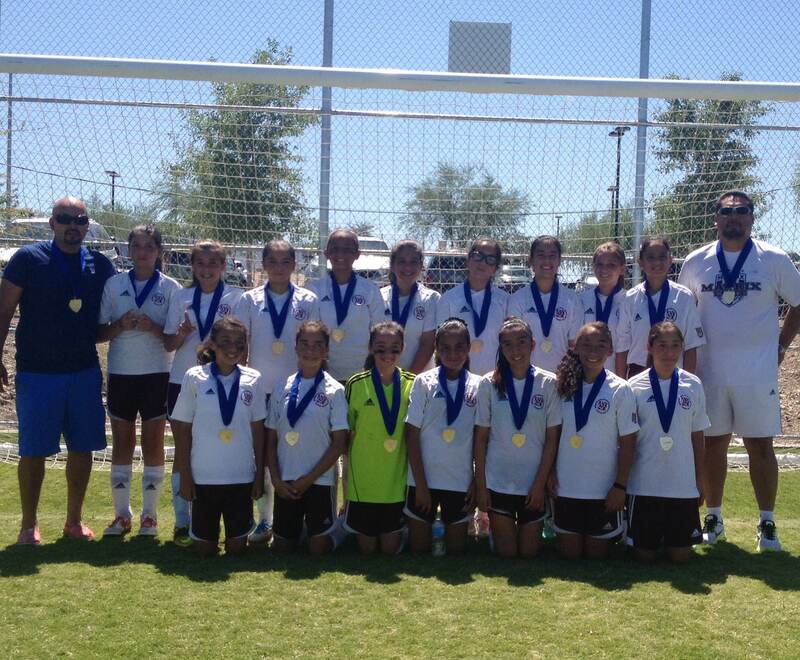 For the U12G team, it was their second consecutive weekend at the winner’s podium. Coach Polo Aviles’ squad crushed the competition on the sand and on the pitch. Coach Polo says his team is looking forward to a step up in competition in the weeks ahead. Our other South Bay finalists included Coach Trujillo’s team in U9G, Coach Villanueva’s team in U12B and semi-finalists Coach Romo’s U10G team. It was a good showing by our club, and preview of success to come. Players and coaches from South Bay Matrix/South Bay AYSO filled a whole section of the stands at the recent SDSU Men’s Soccer match vs. Grand Canyon University. After the match, South Bay coaches were able to visit the team room to review match strategy, key points and tactics with SDSU Asst. Coach Matt Hall. The Coaching Education session was arranged by new Director of Coaching Memo Medina, a former SDSU Asst. Coach himself. The Aztecs handily defeated Grand Canyon 4-0. Coach Hall was gracious with his time, and we are all proud of the turnout by our South Bay families. It was a great evening for all. Congratulations to the U14G Matrix South Bay team. The squad reached the finals of Nott’s Forest Labor Day Cup, losing a squeaker 3-2 in the championship match. Coach Loya has rebuilt the team over the years, and the girls who have been with the squad from the beginning are all about perseverance. They have worked hard, and now give opponents all they can handle. Coach Loya has them headed in the right direction. The team opens its Presidio League season at home on Sept. 7 vs. Matrix Santee. The Matrix South Bay U16G team is preparing hard for the inaugural San Diego Development Academy league. The team is coached by Hector Romo and is an experienced squad with talented newcomers for the Fall 2013 season. The team has had some quality wins in summer tournaments, including victories and draws against teams with high GotSoccer national and state rankings. 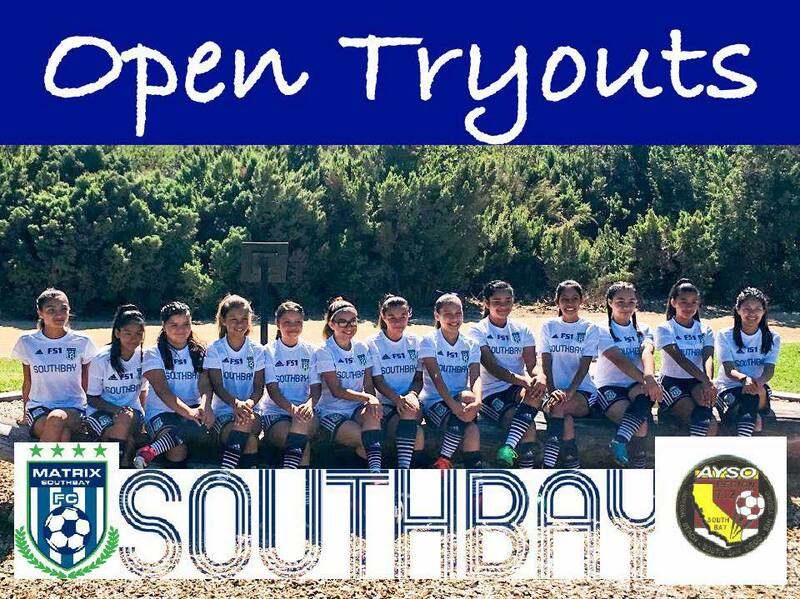 The South Bay team has one opening and welcomes players to come try out for the squad. 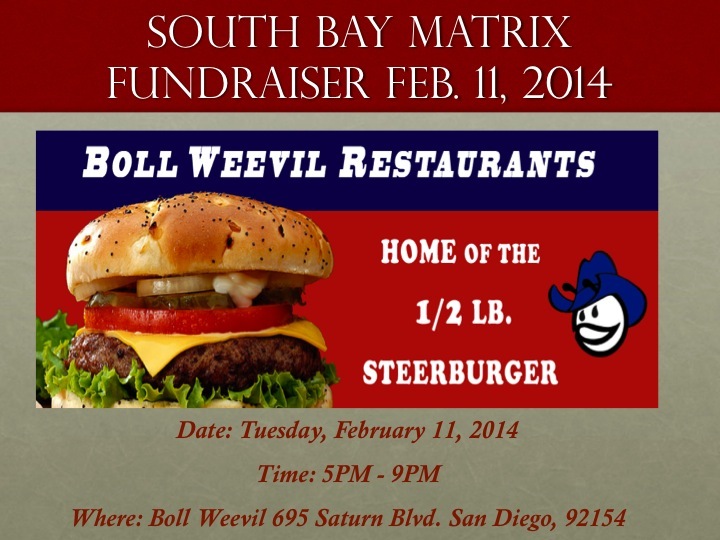 Contact Coach Hector Romo at (619) 944-6118 for more information. See photos below courtesy of Rey Estrada or YouTube link to brief video of our footwork drills. South Bay Matrix Club Record: Another Winning Season! Hours and hours of practice and hard work culminated November 17 with the conclusion of the Presidio League season for all olders and youngers teams. There were quite a few highlights for our league. But it all starts with our volunteer coaches and team managers. I want to thank each for their time and dedication to our youth this season. Of the 8 teams we had entered in the Presidio League, 2 went undefeated in AA-C, and another finished second in AAA–good enough to earn a Premiere seed. As a club, we finished with 19 more wins than losses. We have had several years in a row with more wins than losses. 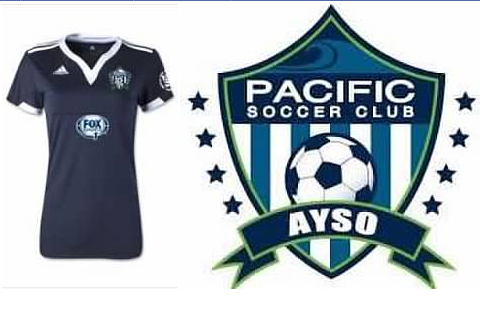 That speaks to the quality of AYSO teams in the competitive club environment of Presidio. We have accomplished all this at a fraction of the cost of other clubs. 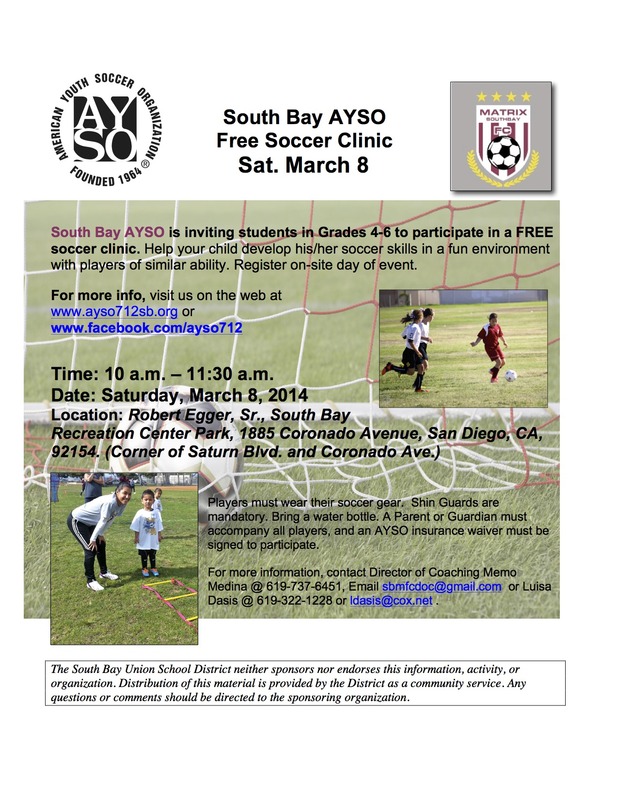 South Bay AYSO Matrix teams are truly about player development. We don’t have to recruit or ‘steal’ players from the North County. We simply need to retain and develop the talent right here in our own backyard. This is a contrast to clubs that talk about player development, but what they really mean is they do not have talent in their own neighborhoods and so must recruit from South Bay. Our ‘Outstanding Matrix Volunteer’ is Coach Santiago Villanueva. Every week of the season, Santiago and his family striped the fields for our program at Nestor Park and Southwest High. They would have done Mar Vista Middle, too, if it were not for flag football on Fridays. 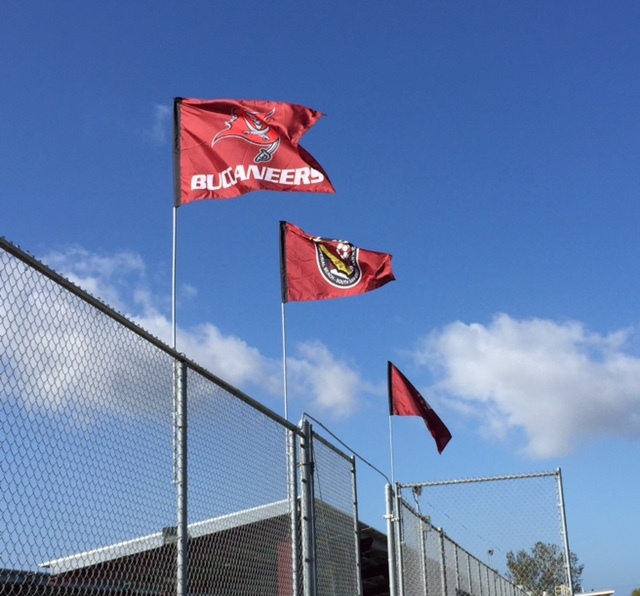 As the high school soccer season approaches, our older divisions are seeing player after player make Varsity Womens’ soccer teams, which is a credit to their development under Coaches Romo, Villanueva and Ordonez. Finally, let me express my gratitude to Coach Diego Terry and Coach Marco Meza, who worked with training our teams and coaches and have made a huge impact on our program. We look forward to adding 2-3 more teams to our Matrix program next season. Our focus is on quality growth. For now, have a great Thanksgiving and good luck to our teams that are competing in the Presidio Cup this December! South Bay Rules the Sun, Surf…and Beach Soccer! The South Bay Matrix FC U10G team coached by Hector Gonzalez won its age group in the Beach Soccer Championships held May 5-6 in Oceanside. 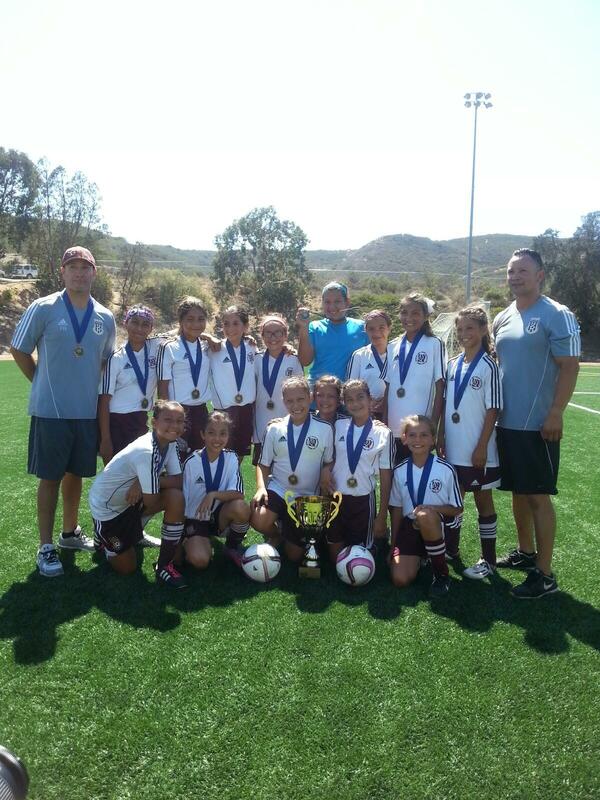 South Bay defeated a Surf U10G team 6-2 in the championship match. South Bay teams have a strong record in beach soccer. 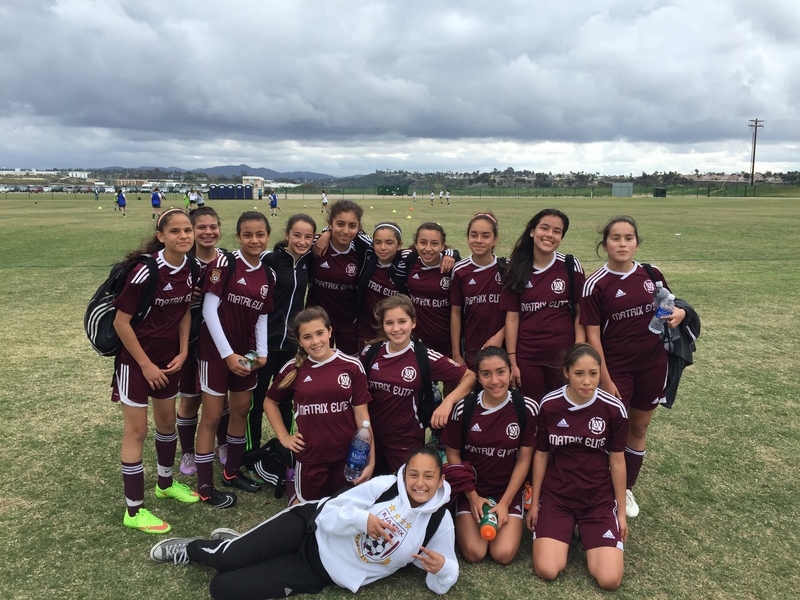 In addition to the U10G success, the South Bay U13G team coached by Hector Ordonez made the semi-finals in its age group in the Oceanside tournament, only a week after capturing the Beach Soccer Jam tournament at Fiesta Island. For the Oceanside tournament, each South Bay team was entered into the highly competitive ‘Sun’ bracket. The South Bay teams trained on the sand in Imperial Beach to prepare for the Oceanside tournament. The girls’ hard work paid off in dominant performances in the Sun brackets’ opening rounds. The U13G team (photo at right) scored an incredible 24 goals in its first three matches, including a convincing 7-2 victory over rival Kodiak. The Ordonez team narrowly lost in the semis, losing 4-3. The U10G team recorded 16 goals in its first two matches, before smashing Surf in the championship match. 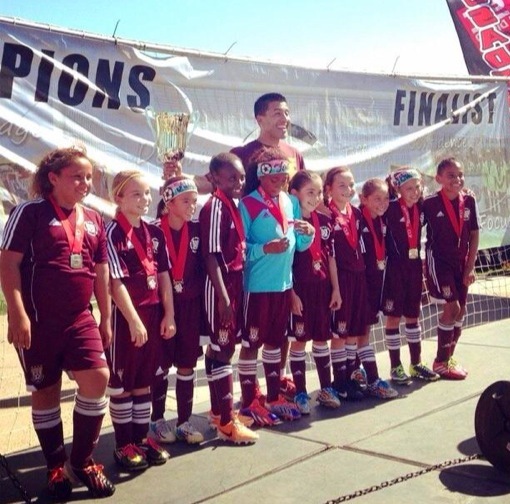 For the U10G team (feature photo), it was a second title in three years in this tournament. And defeating a team from Surf, with its cadre of professional coaches and trainers, is another feather in the cap of all-volunteer AYSO, and South Bay soccer specifically. Way to go! 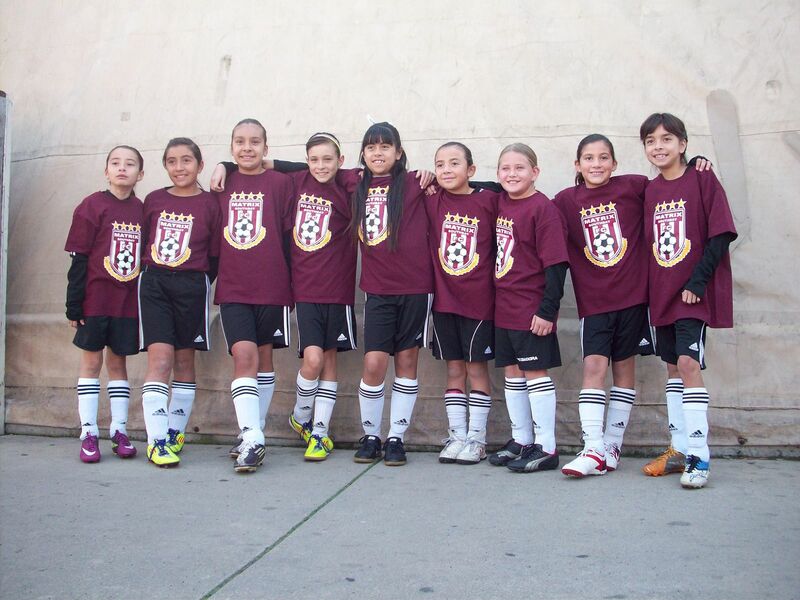 U11G Gonzalez Team Ready for More! The team consists of a highly athletic, competitive and skillful group of players that is transitioning to U15G for the fall 2012 season. This group of girls also has a tradition of strong tournament finishes. 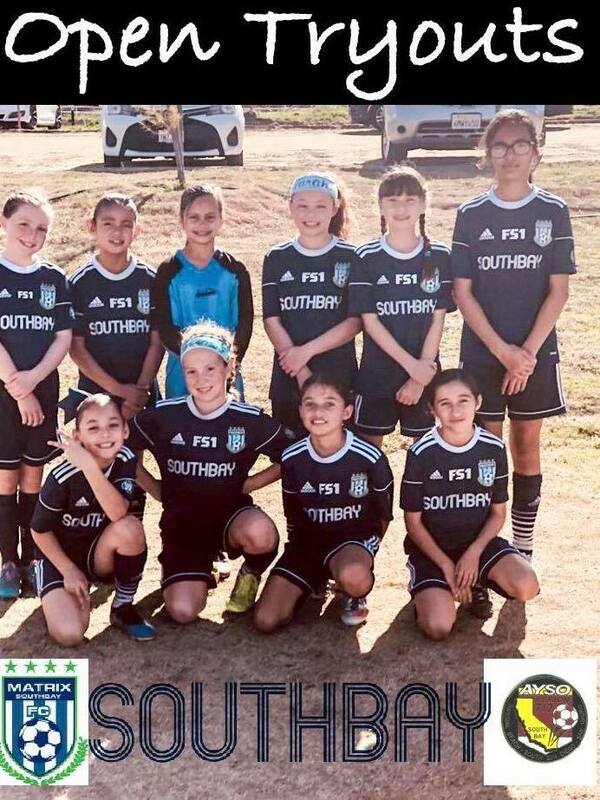 Since its initial formation as an AYSO all-star team and now as a seasoned Matrix team, the girls have captured a remarkable 11 championships and one indoor title as well. Highlights include last May’s Cerritos Cup, where the squad took home a victory over a nationally ranked Arsenal team in a match played at Long Beach State University. Most recently, the team was crowned Co-Champions of the Memorial Super Cup. For information about tryouts or to practice with the team, contact Coach Hector Romo at (619) 606-3884. 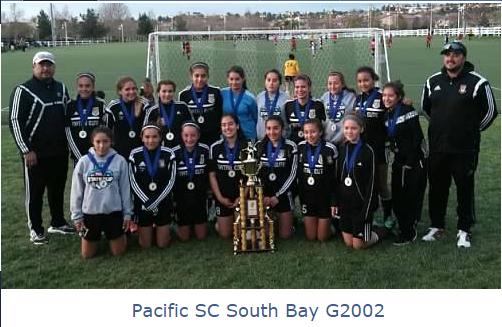 2010 Presidio Cup Finalist in U13G AA-A. 1-0 loss in championship match. 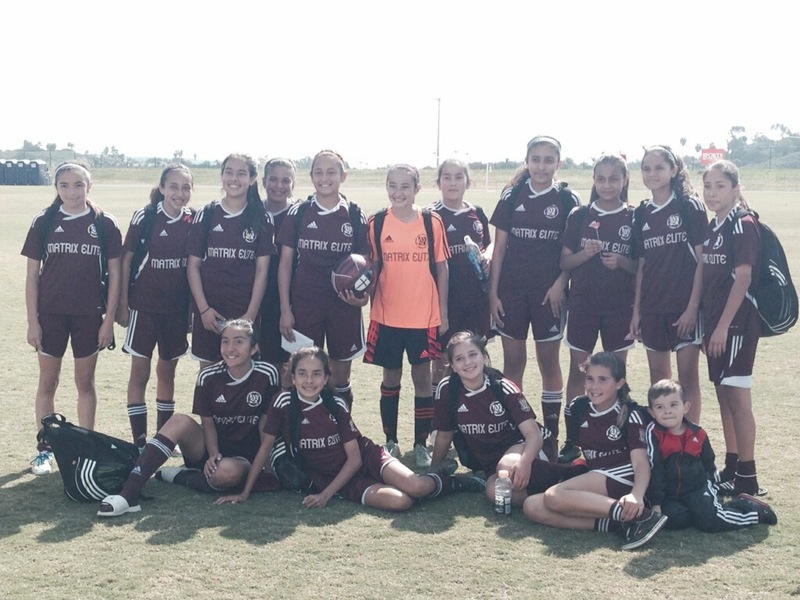 2010 Copa Del Mar Champions U13G (defeated Carlsbad Lightning White). Second consecutive Copa Del Mar championship. 2010 Goya Cup Pumas Memorial Day Champions in U13/U14G bracket. 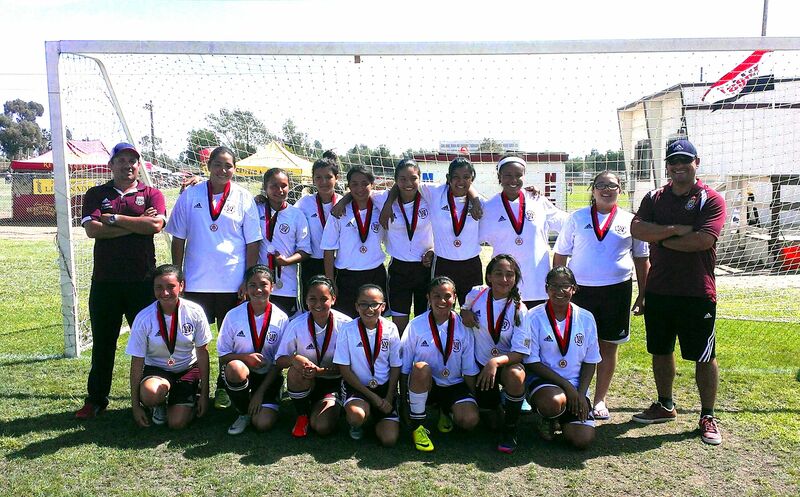 2009 Copa Del Mar Champions U12G. Did not allow a goal in the tournament. Defeated Surf 1-0 in the championship. 2009 Rangers Memorial Day Cup Champions U12G. 4-1 record. Four straight shutouts to close out the tournament. 2009 Semi-finalist in Carlsbad Cup. U12G 3-1 record in Silver division. 2009 Beach Soccer Mission Bay U12G semi-finalists. 2008-09 Presidio League AA-B South Champions: 13-1 record. Boys Under 13 Matrix Looking for Talent! Last season in U12B AAA, Matrix Coach Jesus Jimenez’ team contended for first place much of the season before a slight dip in the second half. The boys also had a strong summer. They won the San Diego Open (photo), crushing opponents in bracket play, and then won the championship 6-1. 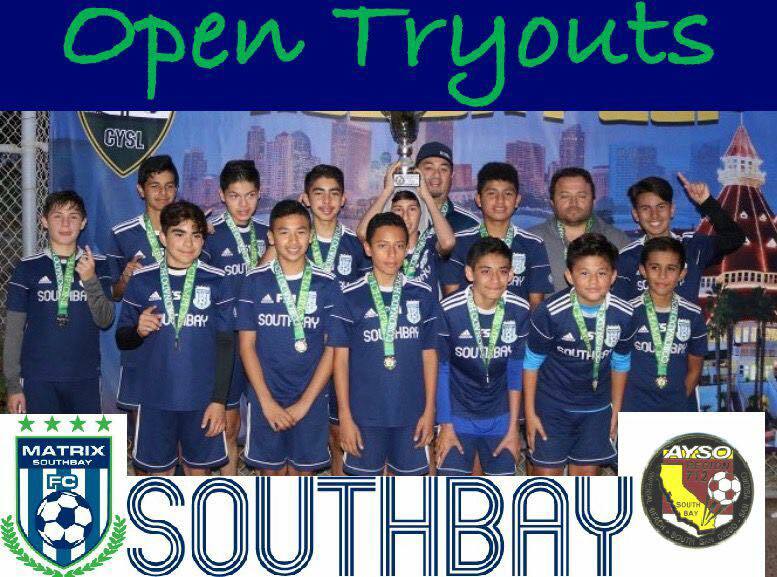 For information about joining the team, contact Coach Jesus at (619) 246-6155 or sjimenez3149@yahoo.com or contact Team Manager Daniel Hernandez southbaymatrix@gmail.com 619-549-7771. Join today!